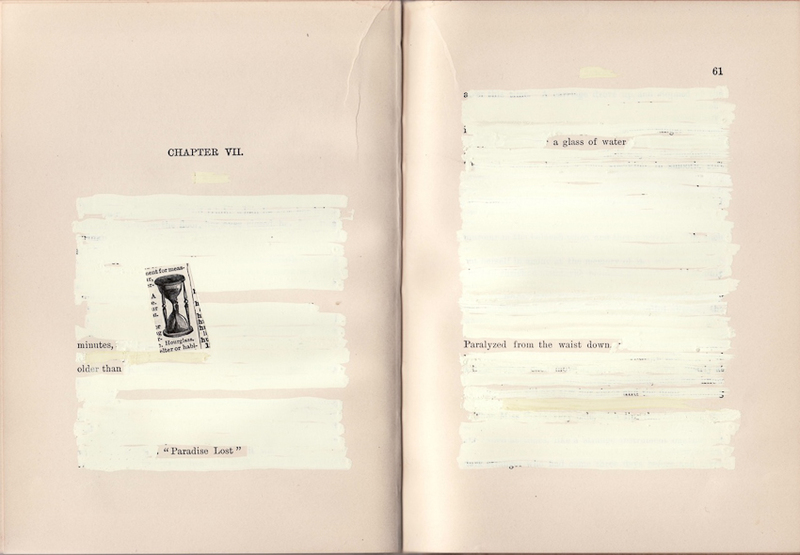 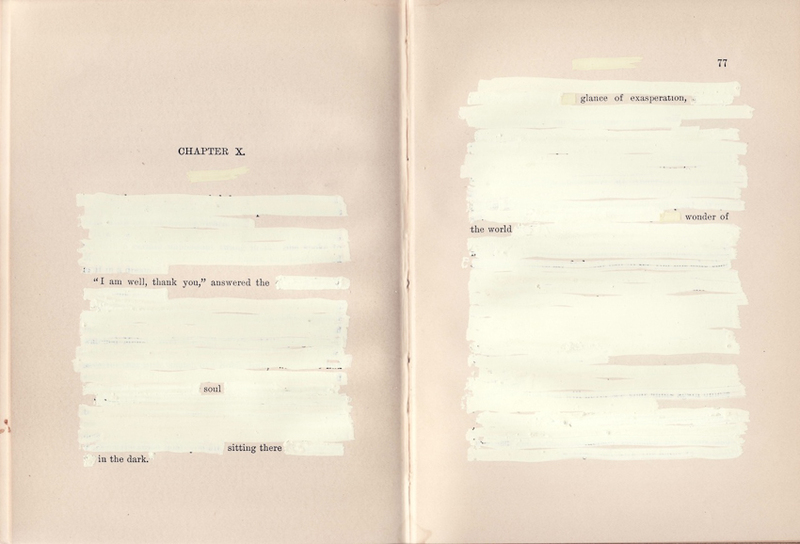 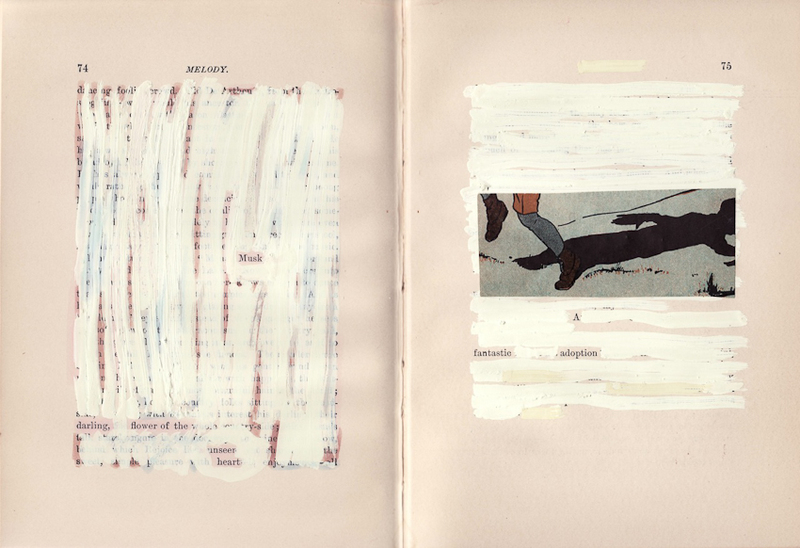 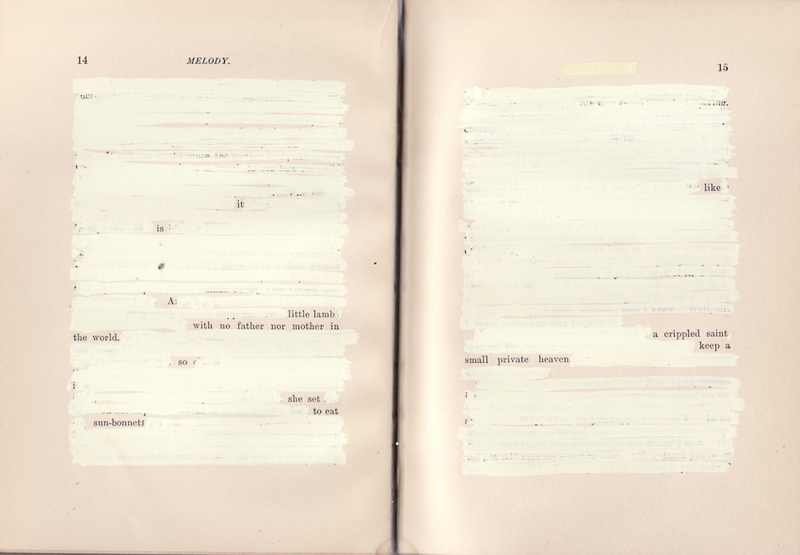 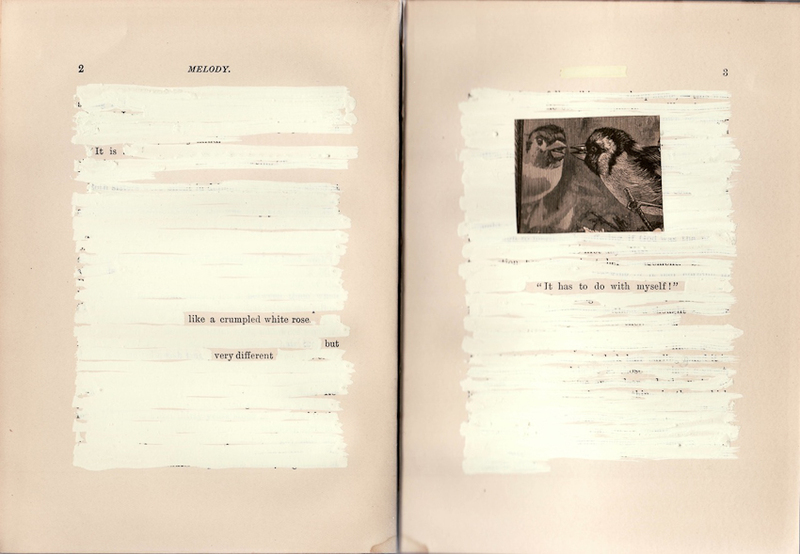 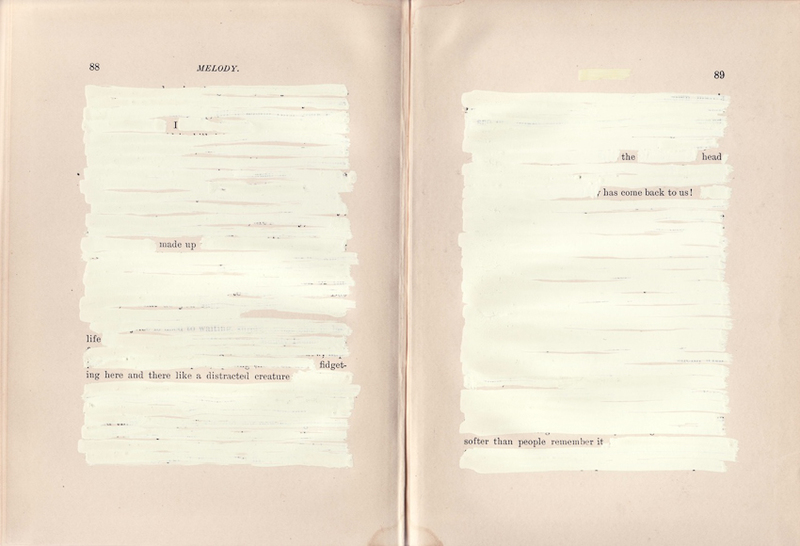 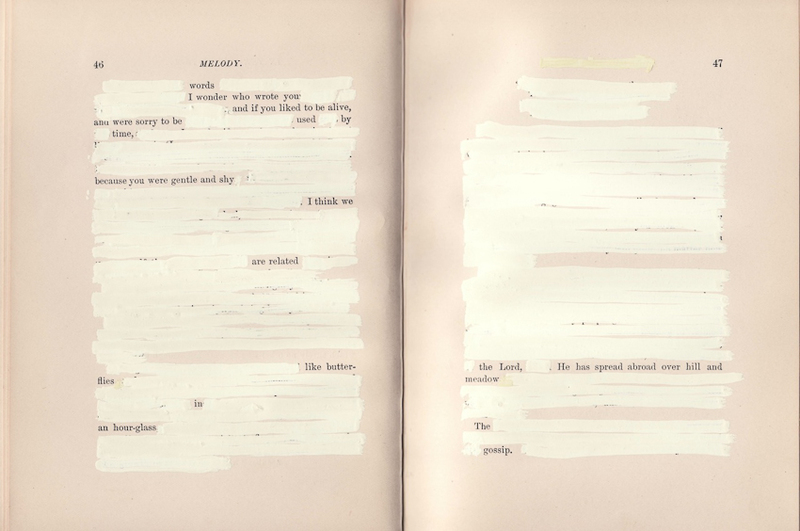 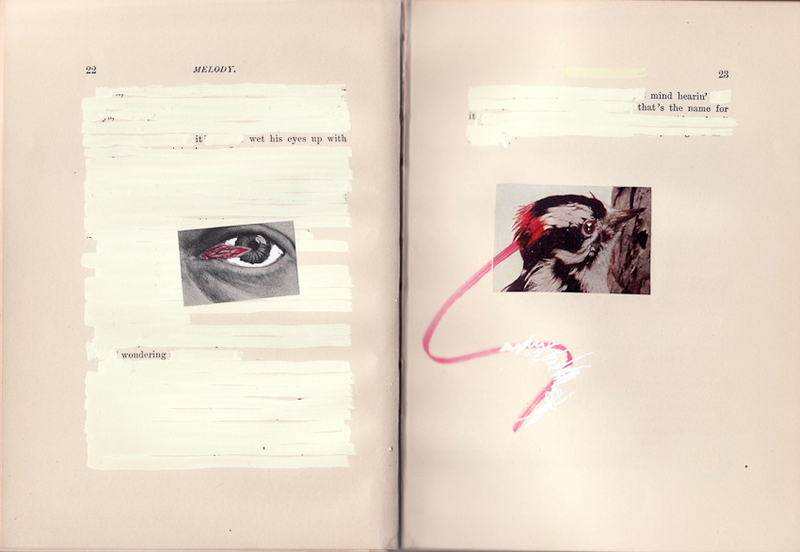 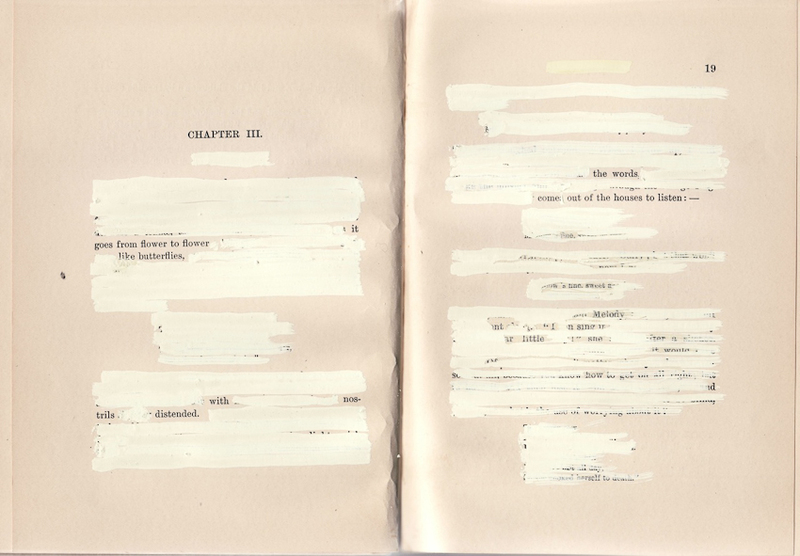 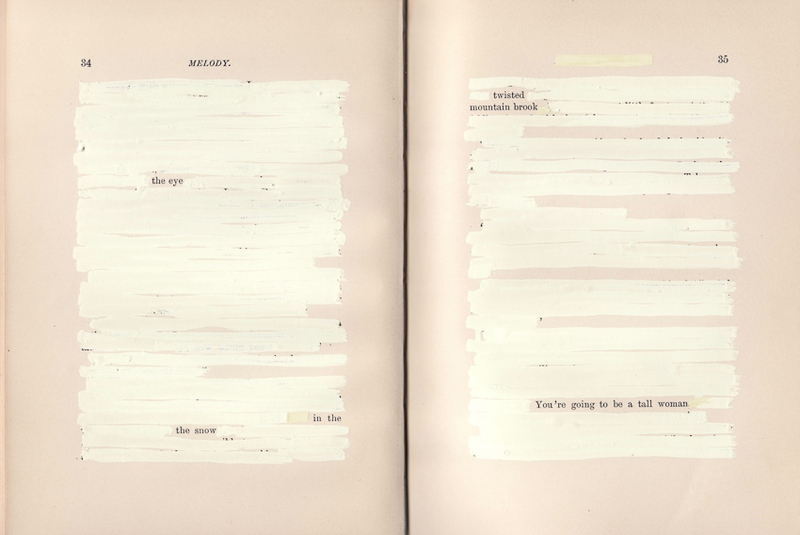 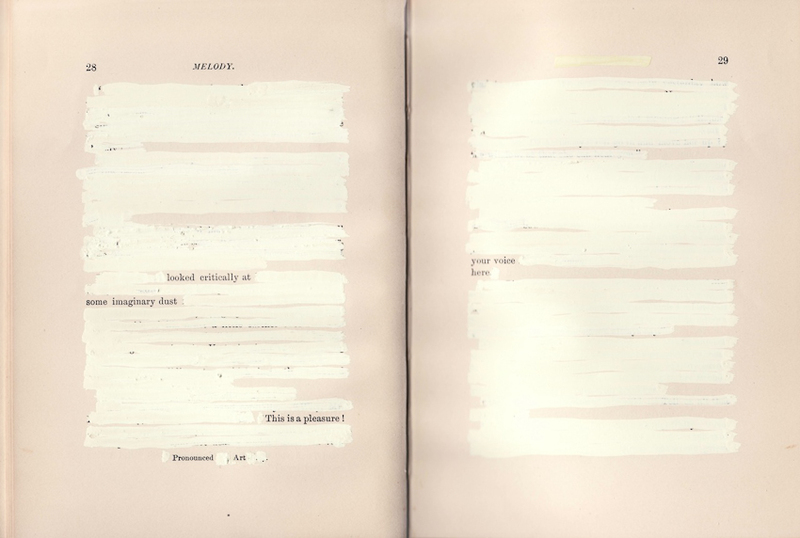 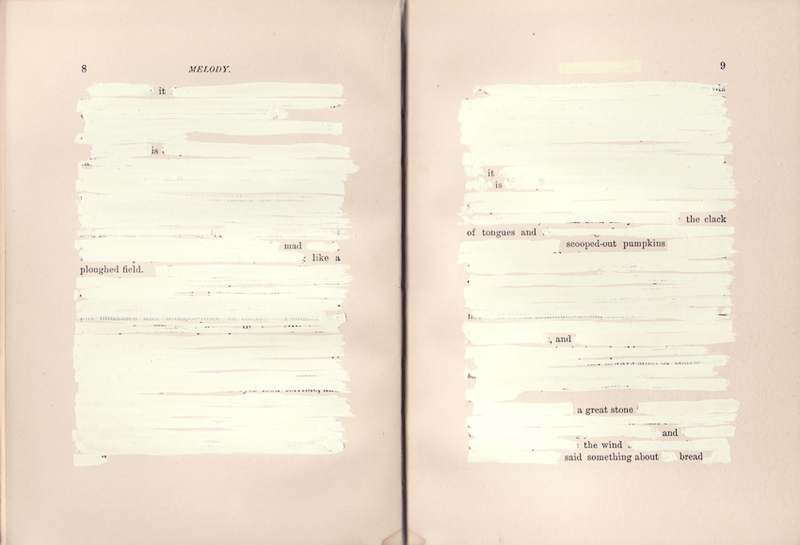 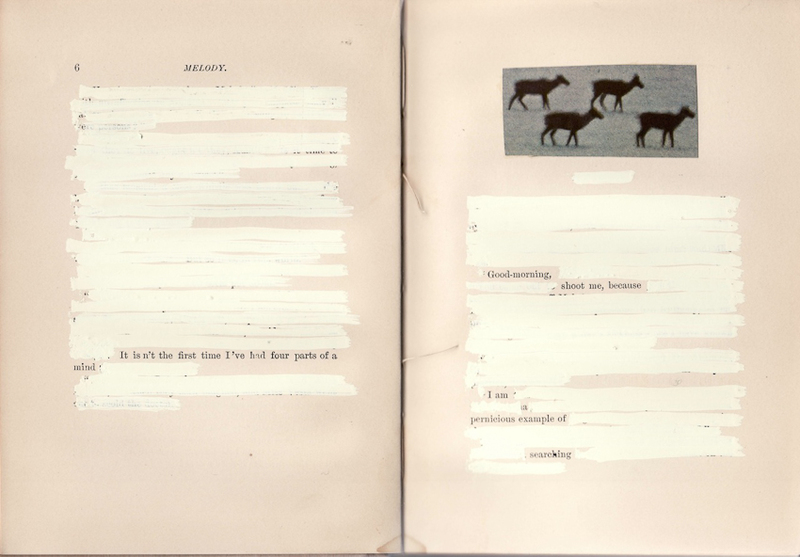 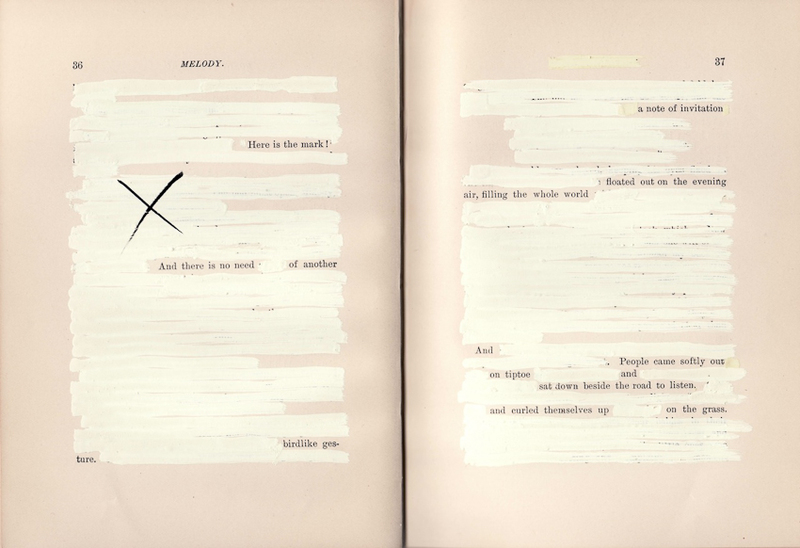 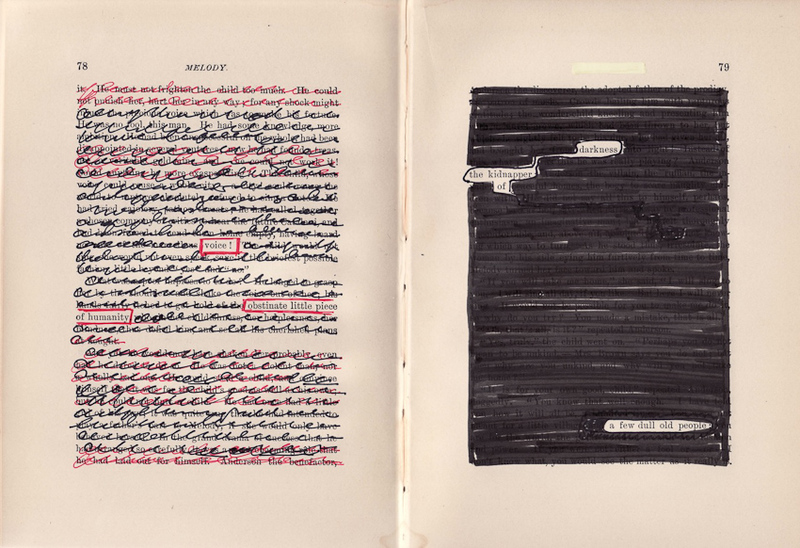 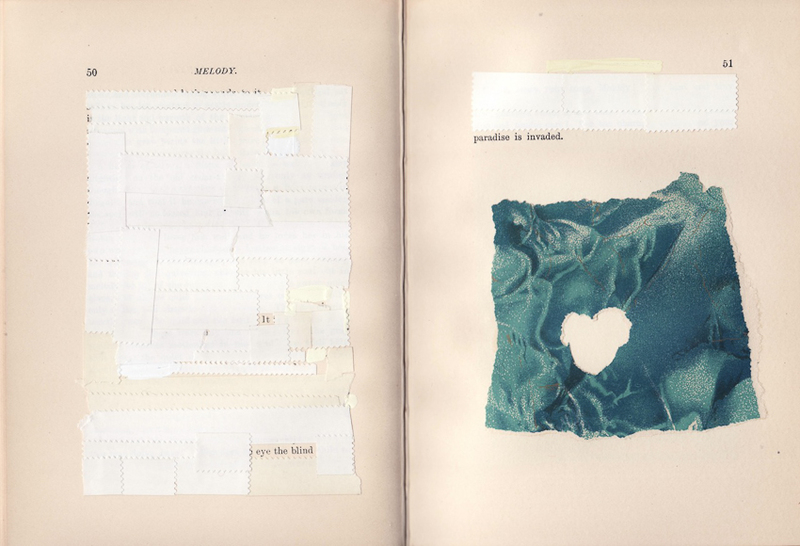 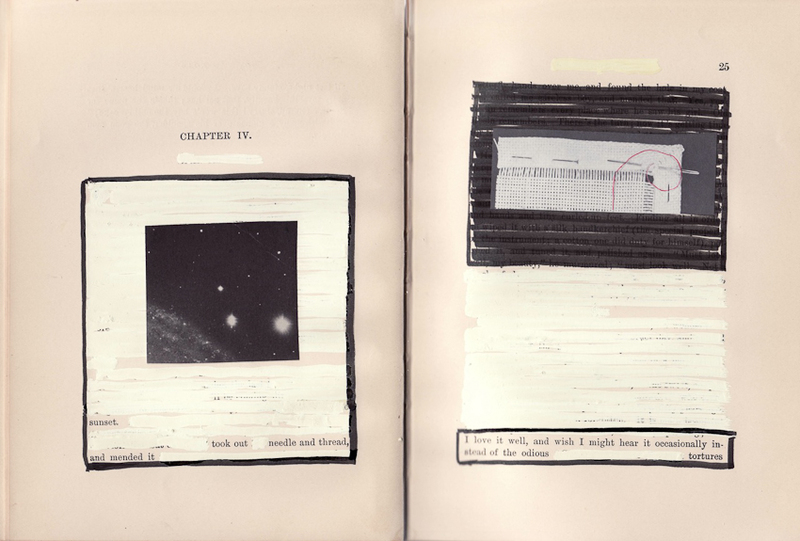 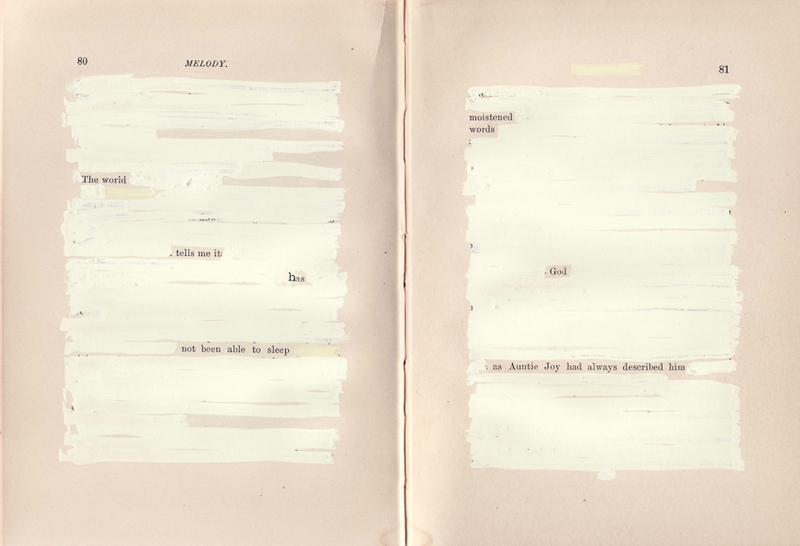 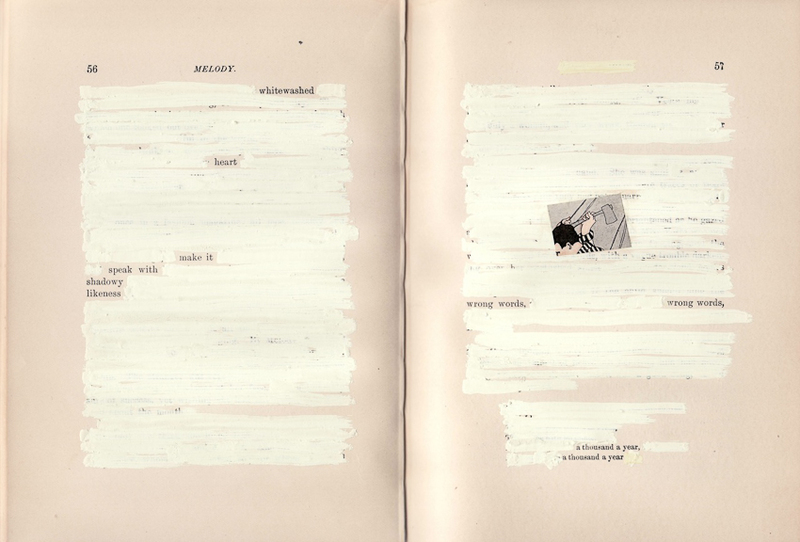 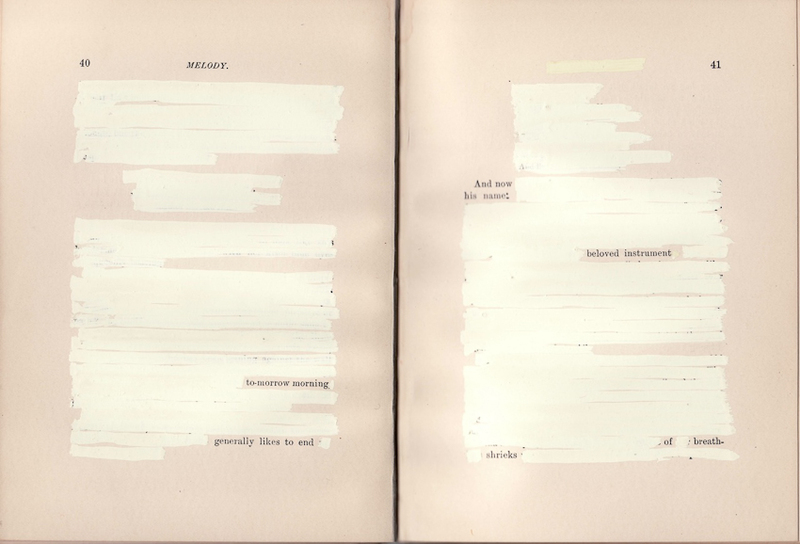 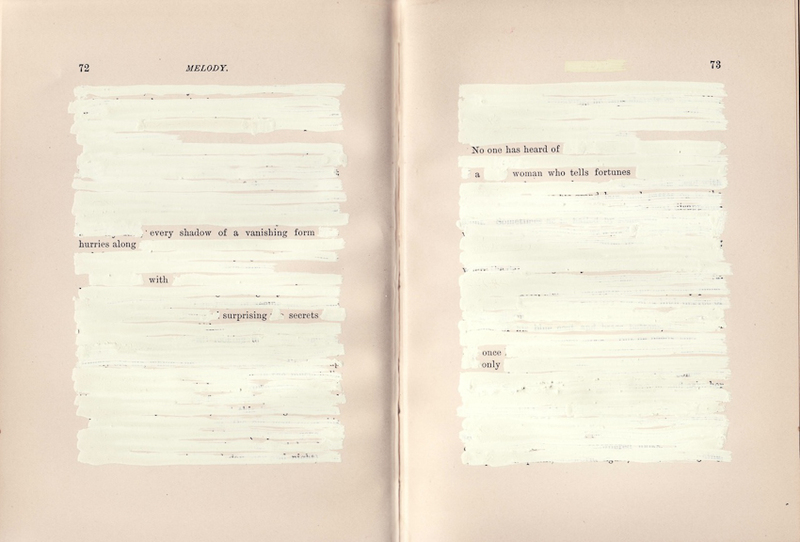 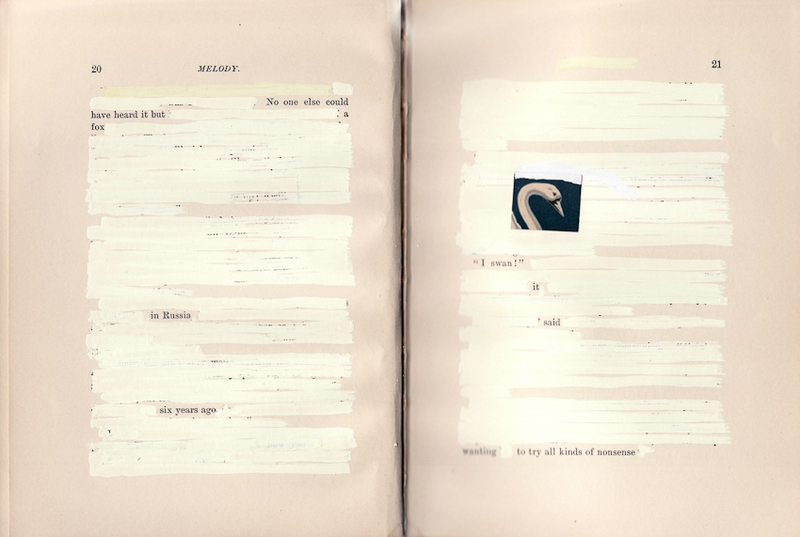 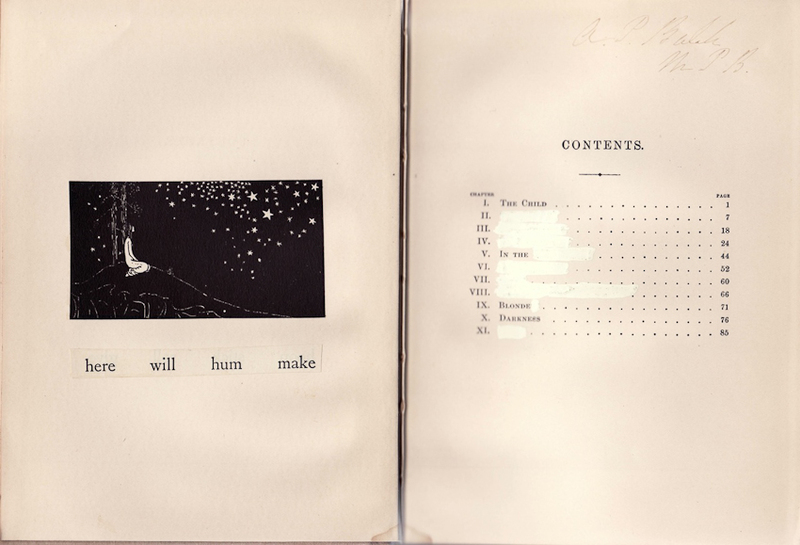 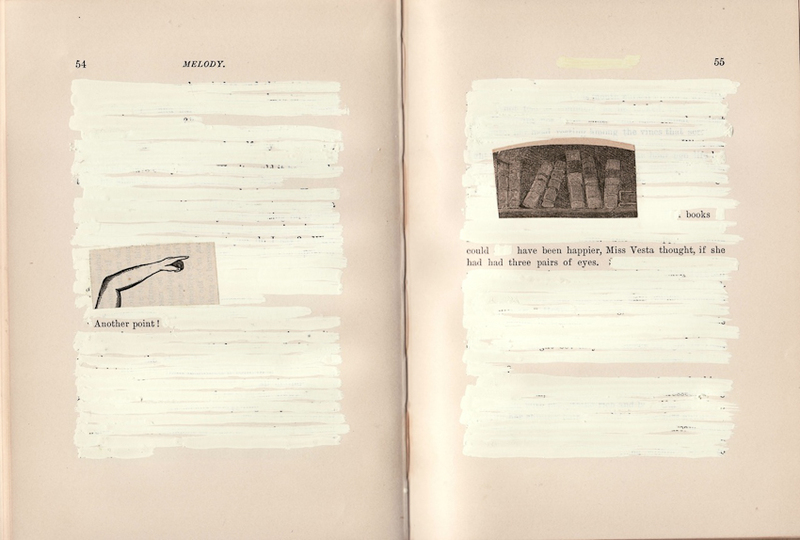 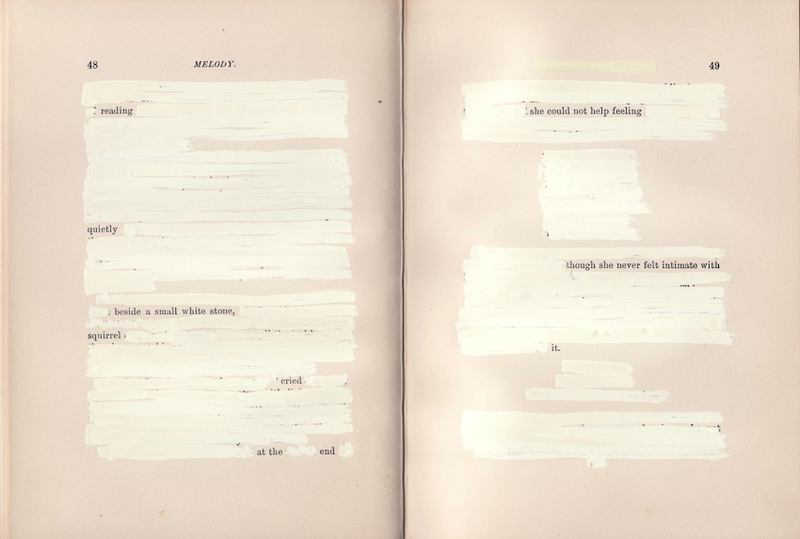 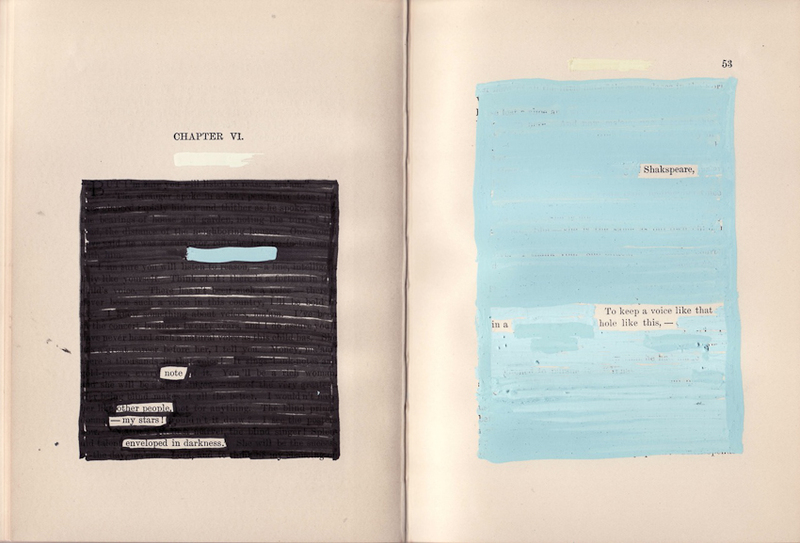 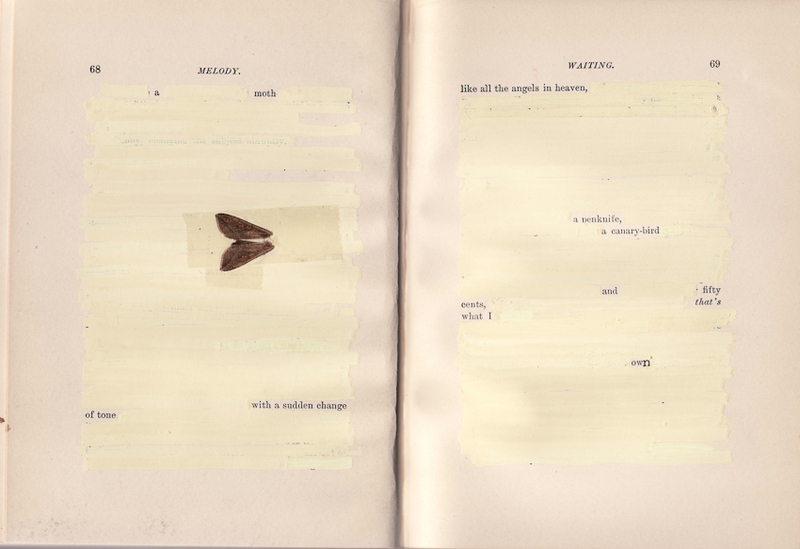 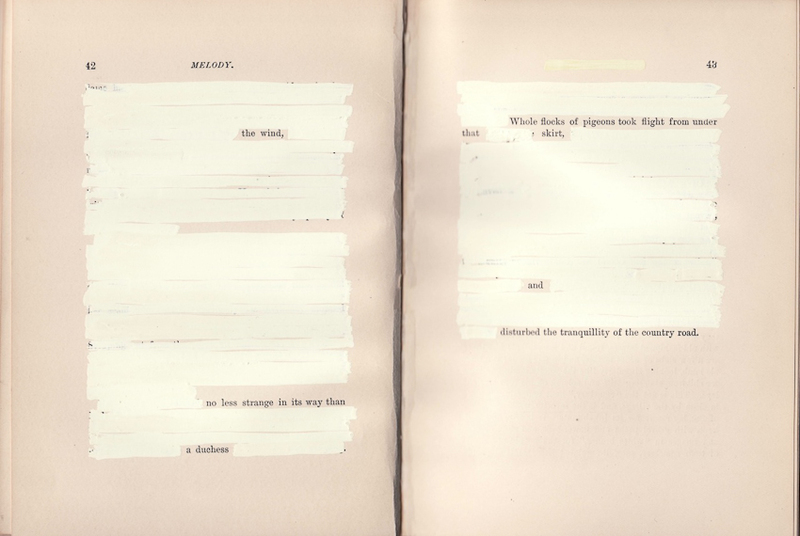 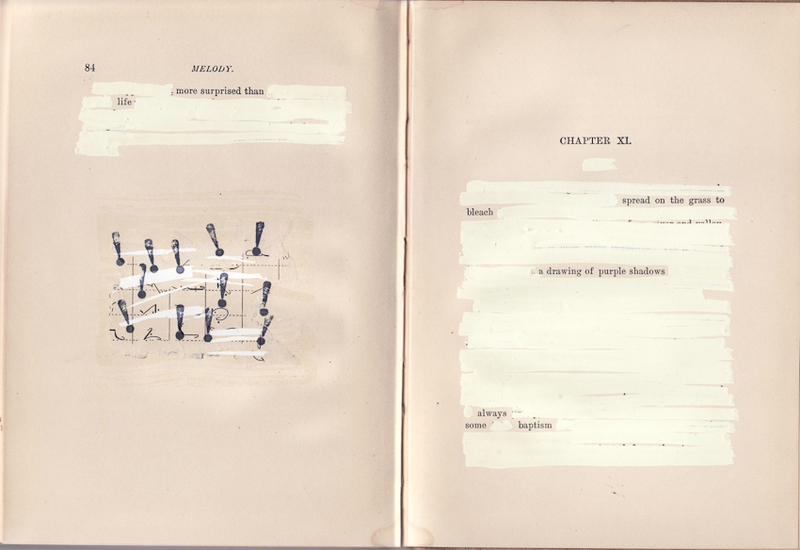 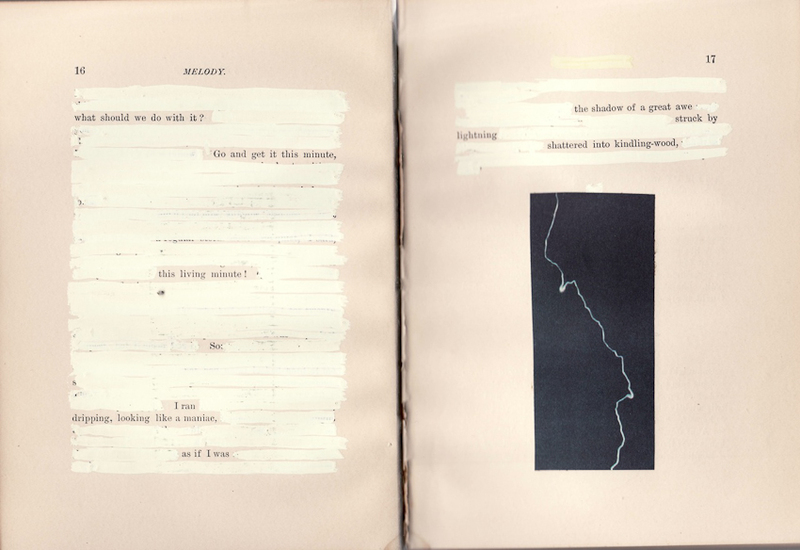 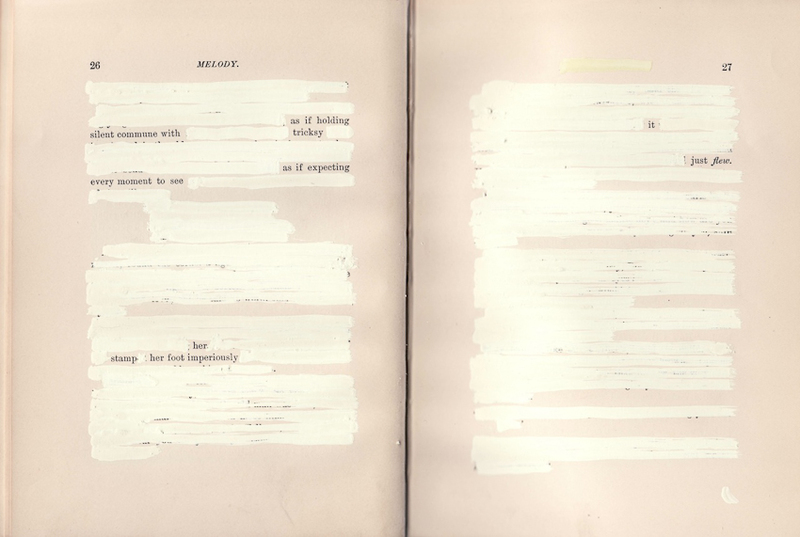 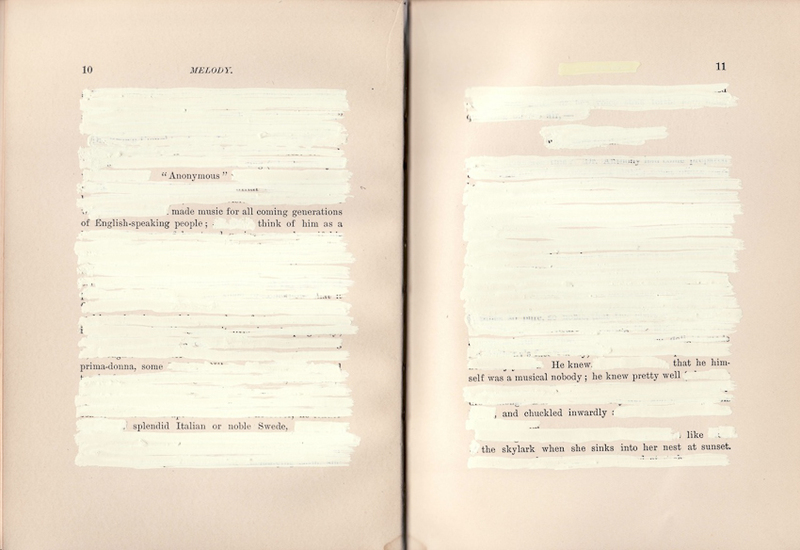 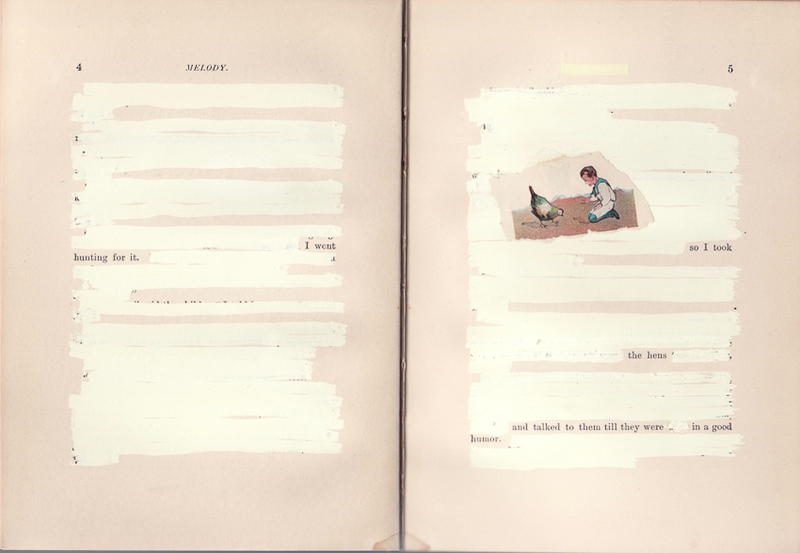 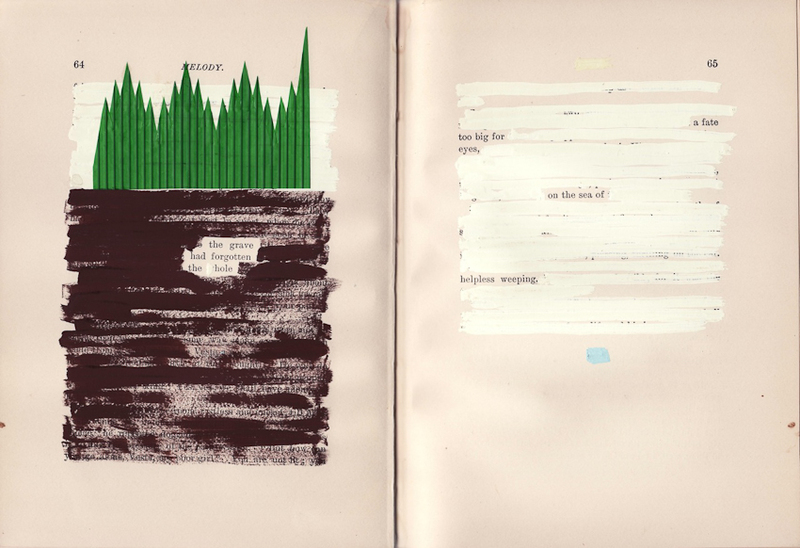 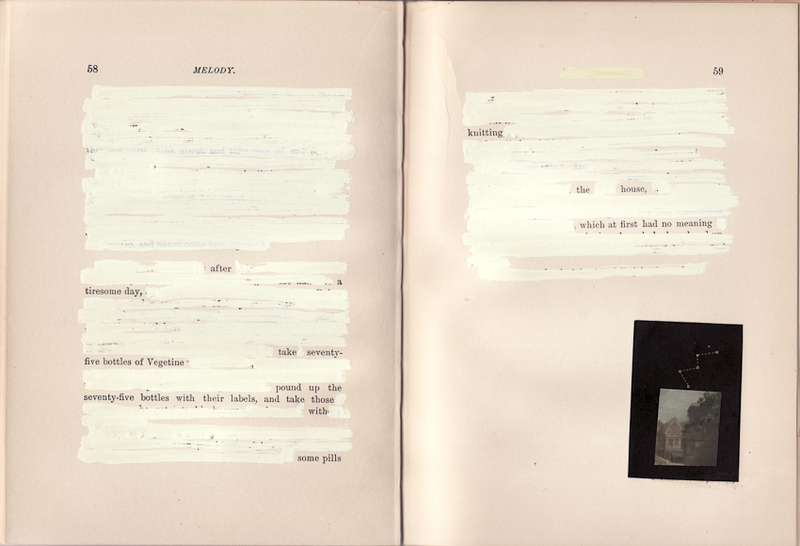 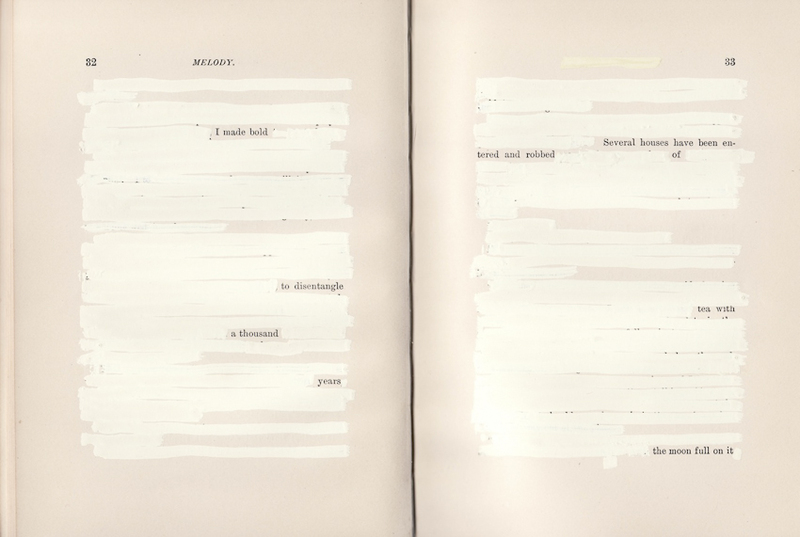 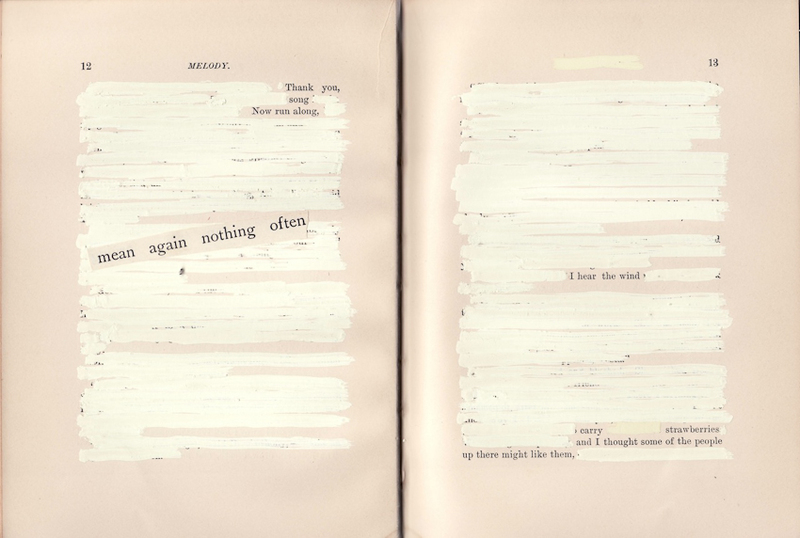 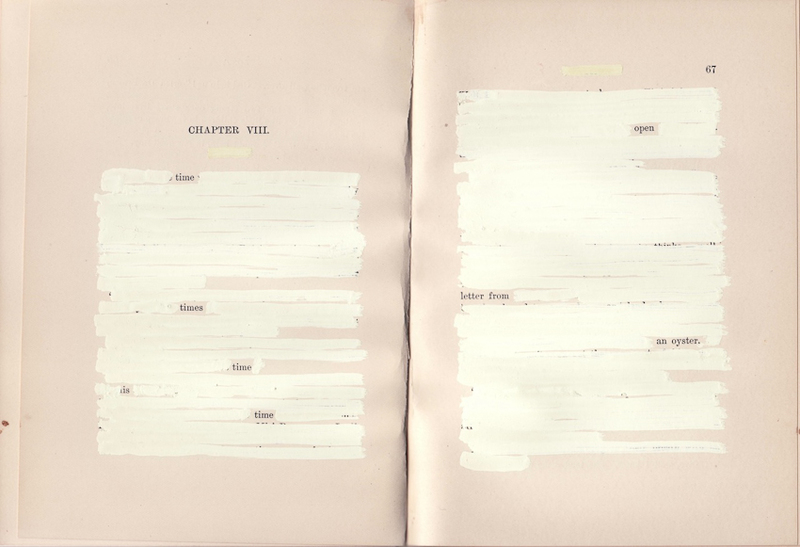 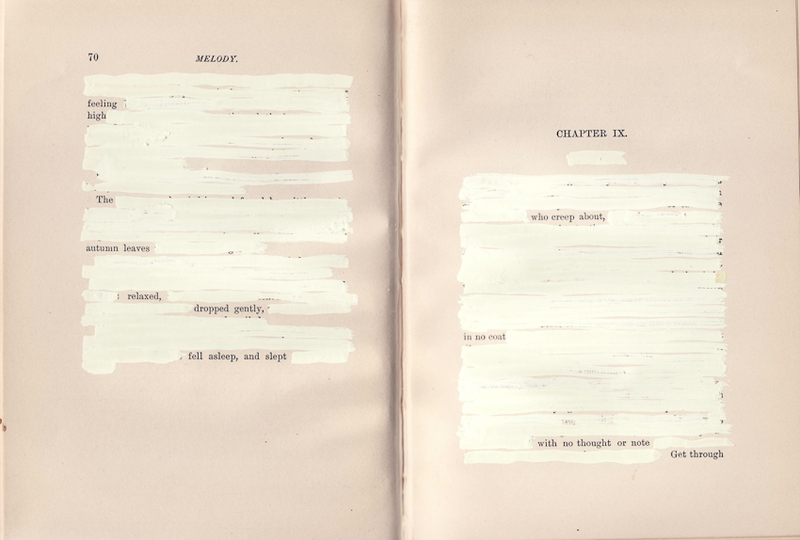 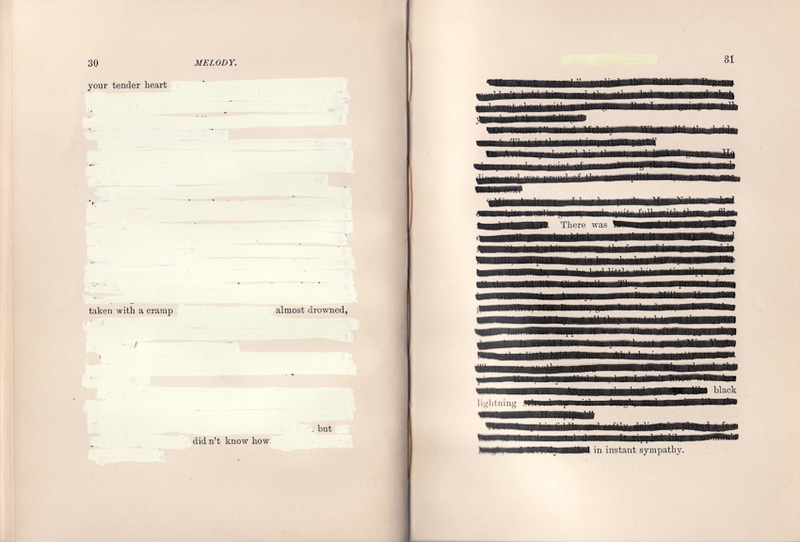 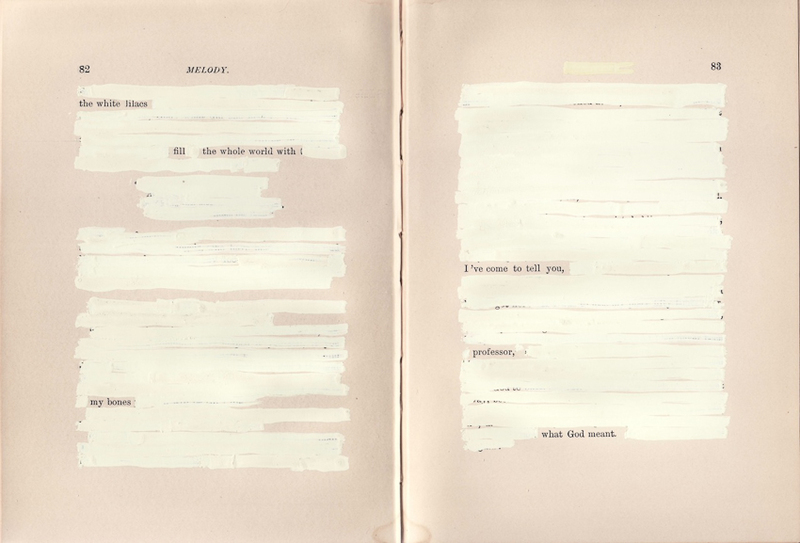 Click here to read more about Mary Ruefle and the history of erasure poetry. 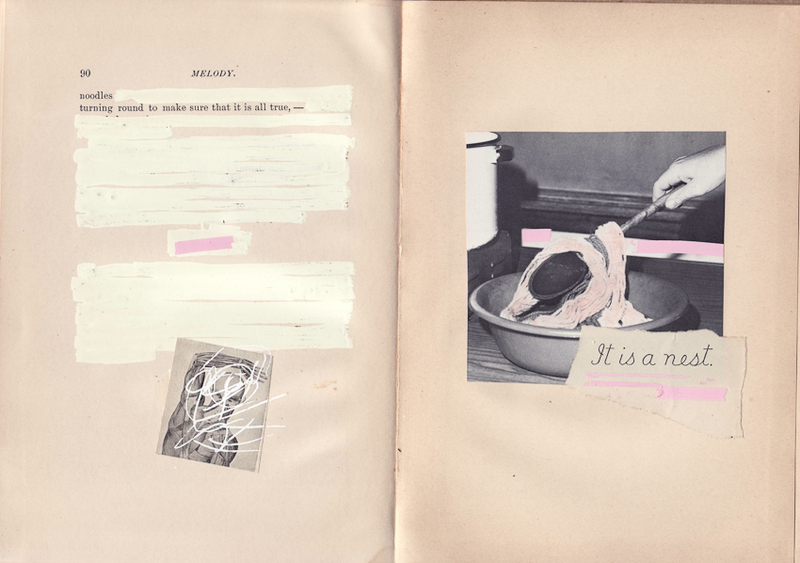 Would you like Gwarlingo delivered to your email box each week free of charge? 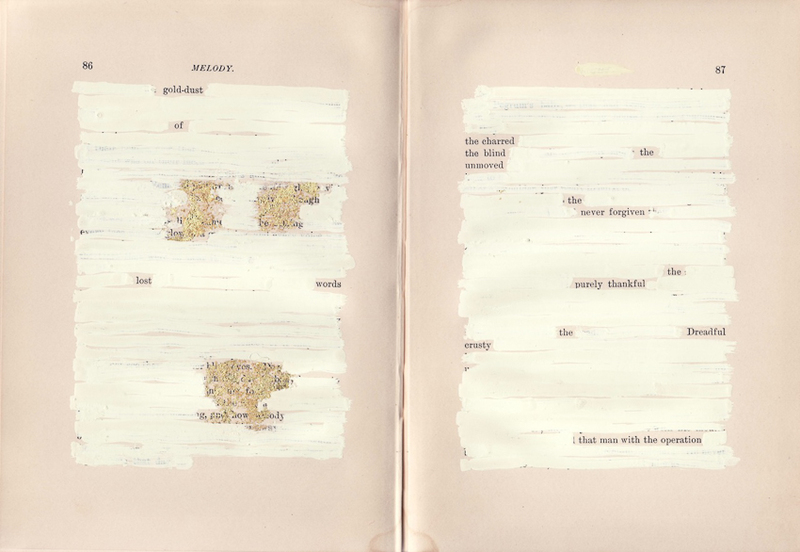 Subscribe to Gwarlingo by email. 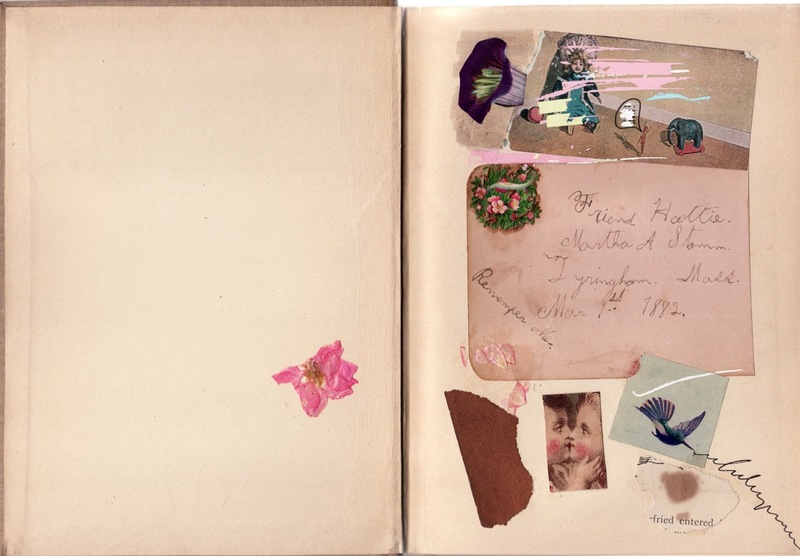 You can also connect on Twitter or Facebook. 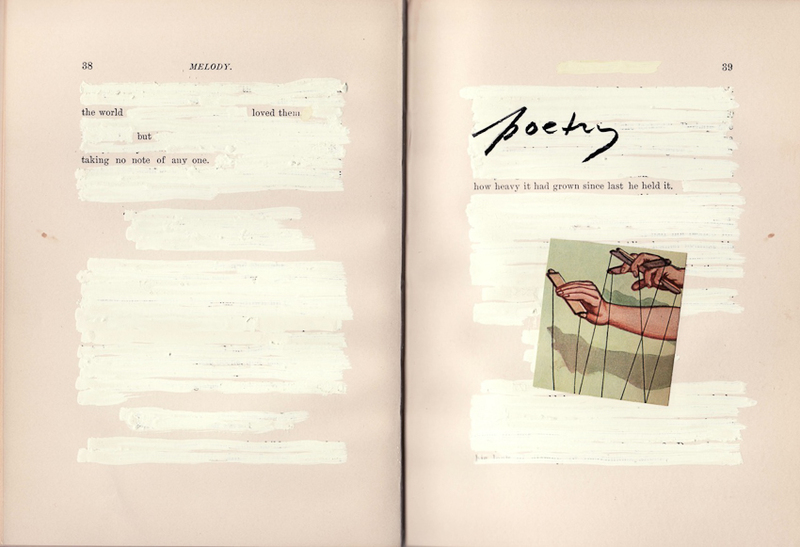 You can read Gwarlingo’s entire Sunday Poem series here or browse the Gwarlingo home page for more features on contemporary visual art, books, music, the creative process, and more. 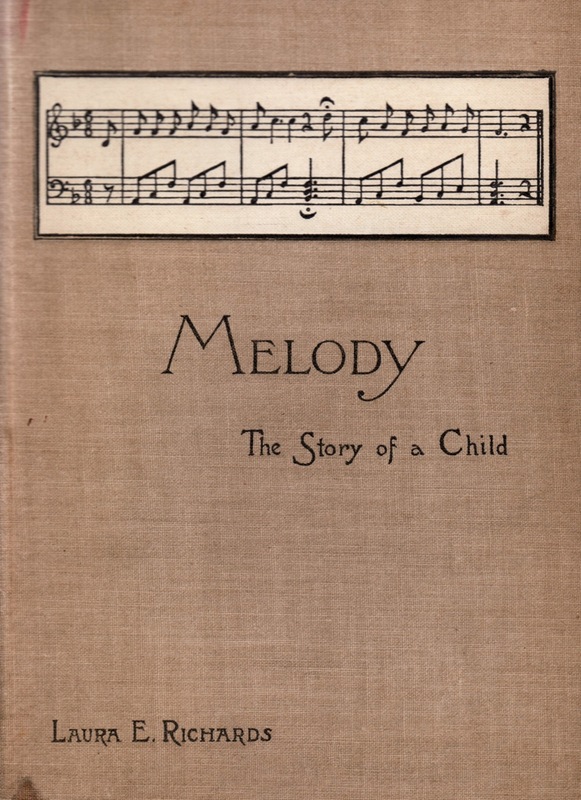 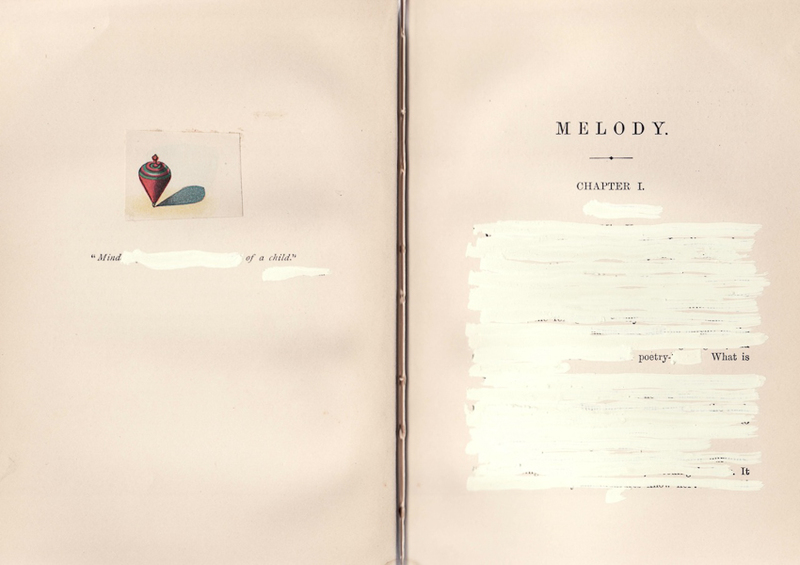 Melody: The Story of a Child © Mary Ruefle. 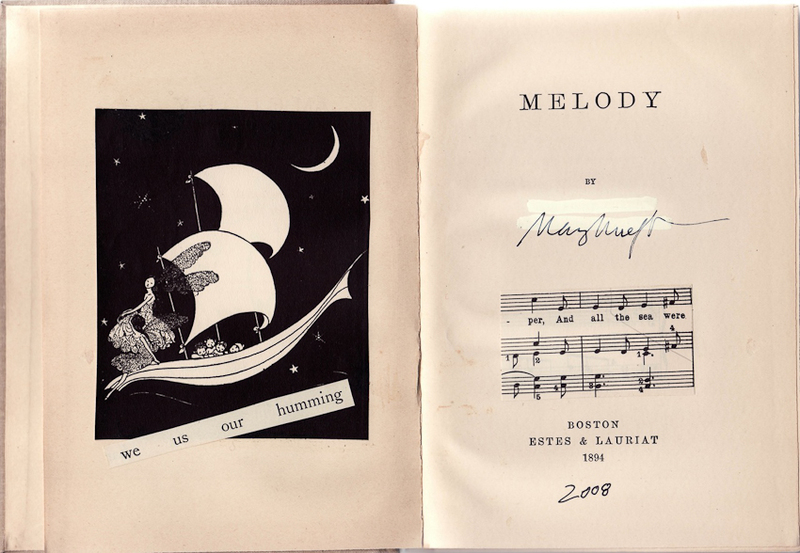 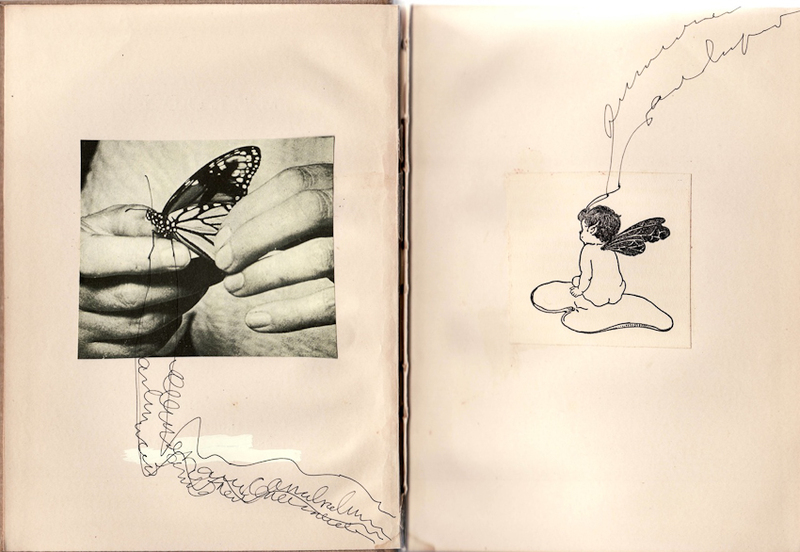 Scans of Melody by Michelle Aldredge for Gwarlingo. 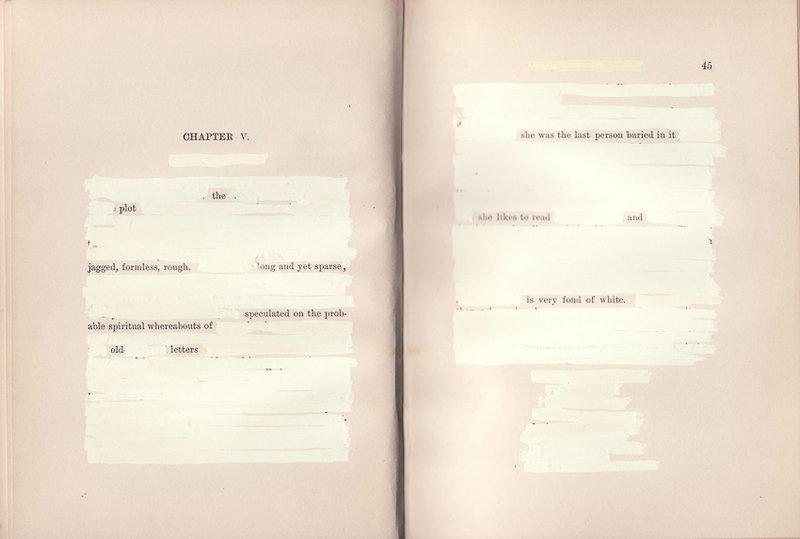 Feel free to share this one-of-a-kind erasure with others. 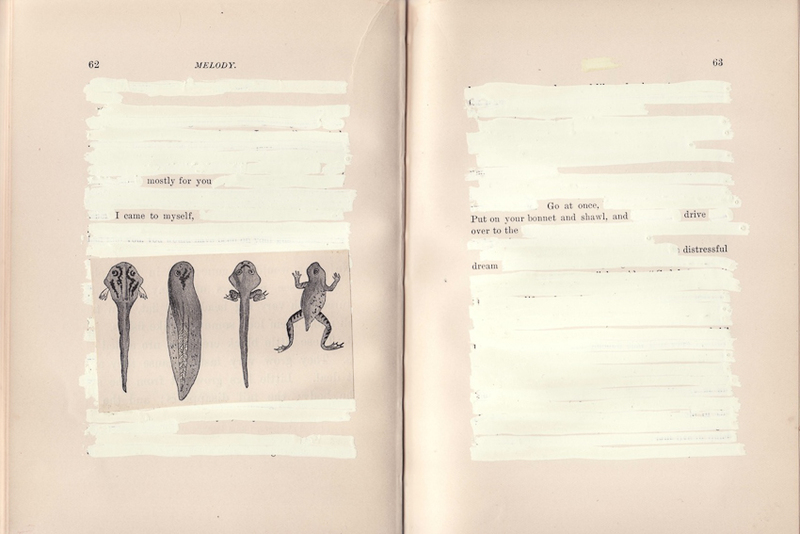 We only ask that you provide the proper credit to Mary Ruefle and link to Gwarlingo.